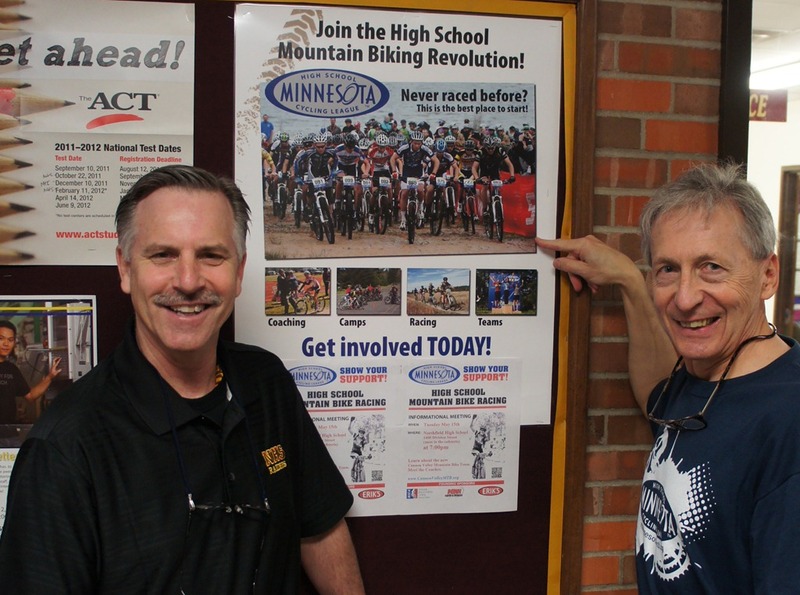 These posts came to the attention of National Interscholastic Cycling Association (NICA), the national body that governs high school mountain bike racing. I had taken their training to be an assistant coach this fall for the Cannon Valley Mountain Bike Racing Team for area high school students. 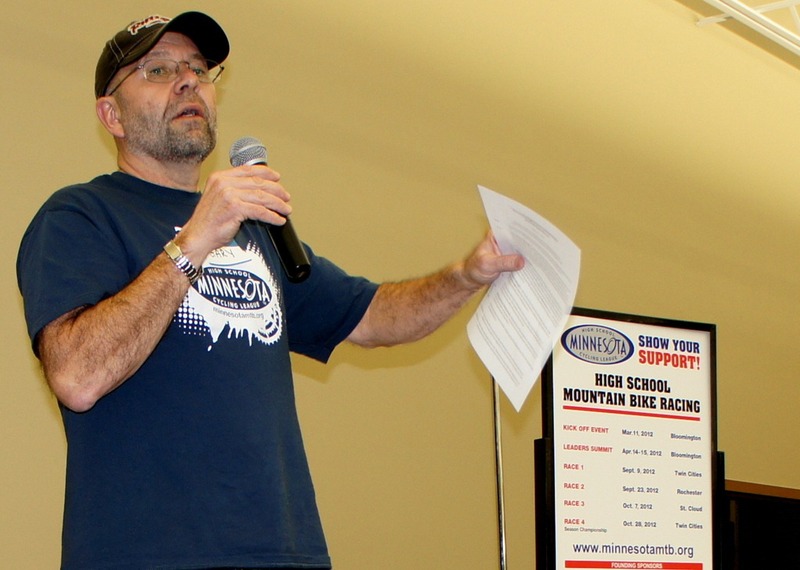 They also came to the attention of the Cannon Valley Velo Club (CVCC), where, as a member, I had volunteered to be the mountain bike ride coordinator and therefore became a club officer. I think public officials and other community leaders should stop the promotion of helmet-wearing for around-town bicycling and instead, work on all the other issues related to getting people, including kids, to ride bikes more, including doing what it takes to make the activity safer. There’s a considerable body of research to support this. 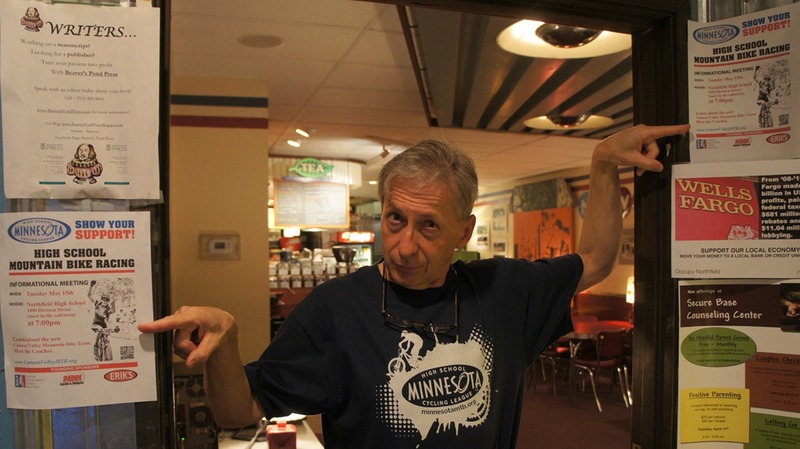 I have very few, if any, kids reading my Locally Grown Northfield blog. 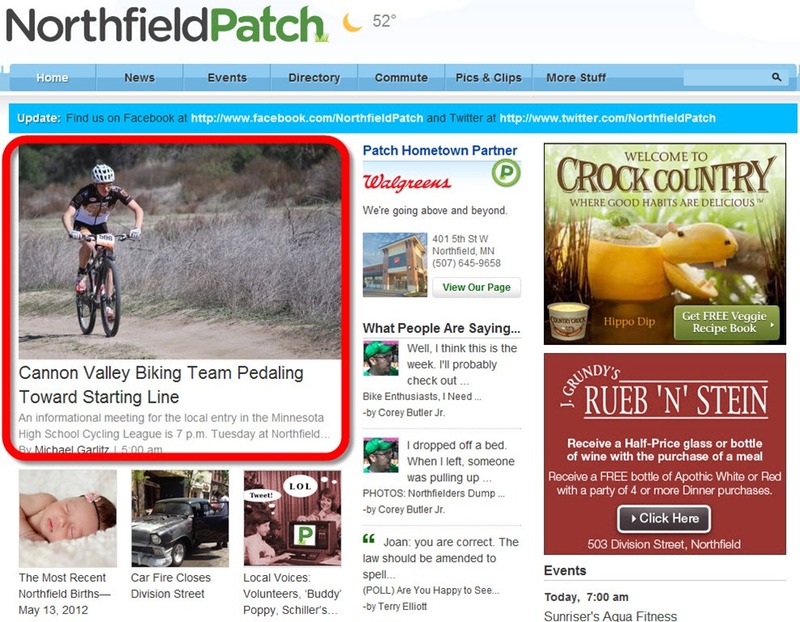 My blog post that’s titled “Photos of Northfielders biking around town without helmets: all the cool kids are doing it” was not aimed at kids and contains no photos of kids. The phrase “all the cool kids” is a generic, cultural reference that doesn’t directly refer to kids but anyone (for example, Suing Madonna, Self-publishing, Quitting Facebook). But it’s very likely that kids will find out about my helmet-related blog posts, either on their own or from teachers, parents, or members of the local bike clubs. If they ask me, I’ll explain my position. In Northfield and elsewhere in MN, the vast majority of high school age teenagers using their skateboards and BMX bikes in municipal skateparks don’t wear helmets. Insurance doesn’t require it as long as the obstacles are under 48 inches high. But if you go to a BMX or skateboard stunt show, all the performers wear helmets. Most kids would understand why: speed and height make a difference. An analogy: should parents let their kids play in the street? Pretty much everyone would say that it depends on the age of the kid, the type of street, and the type of play. Kids gradually learn the subtleties of playing in the street and by the time they’re in high school, it’s a non-issue. Likewise, with helmet-wearing. Boys especially don’t want to appear to be overly concerned with safety. I insisted that my three sons wore helmets from the time they were toddlers but once they were 14 or so, they refused to do it for around-town biking. They had no hesitation on wearing a helmet when I took them mountain biking or road riding. I’m 100% in favor of promoting the importance of wearing helmets for mountain biking, road biking, gravel riding, and all forms of bike competition and I would hammer this point home and enforce it rigorously with the high school student athletes. And I would not use my coaching/face time with them to promote my position about helmets and around-town biking. Here are some team building activities. 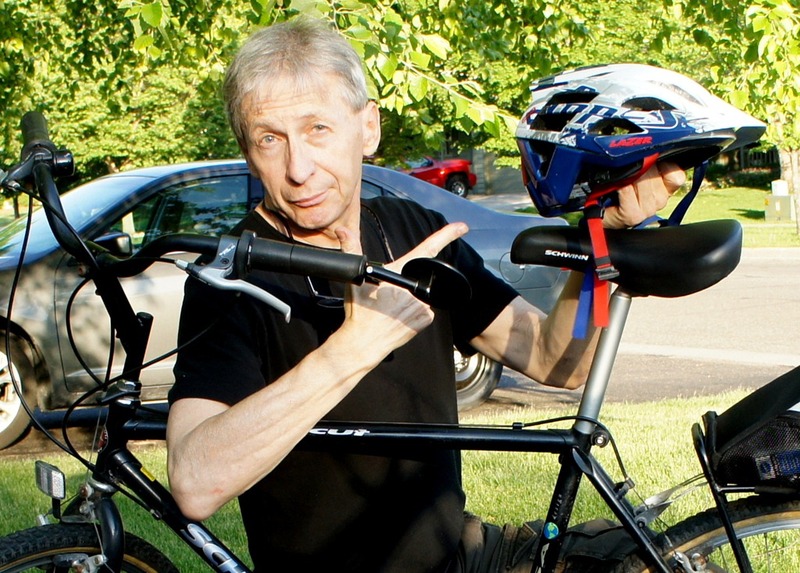 …while NICA’s rules do not govern what Griff does outside of the context of his high school mountain bike coaching, NICA does find his position on helmet use contradictory to our risk management and safety standards. Thus, NICA staff are not supportive of his position regarding helmet use nor his public blogging on this subject. NICA encourages Griff to chose between abiding by the NICA rules at all times – in order to serve as a role model – or not coach. One thing I didn’t state in my “Griff’s position” statement was that it never occurred to me that my blogging about helmets for around-town biking would have anything to do with mountain biking. I simply never made the mental connection. If I had, I probably would have avoided the issue altogether. While it’s unfortunate, I don’t regret doing it. I really do believe in what I wrote about the issue so I can’t in good faith go back on it. So I have decided to withdraw as team director and assistant coach. In the end, most felt that we can’t as a Club endorse a position which suggests publicly that riding without a helmet at any time on the bike is advisable. It was very tough to decide whether this meant that individuals within the Club are speaking for the Club, but in the end it was decided that anyone whose name is on the CVVC home page “Club Officers” table could be construed as speaking for the Club. Given that your position as expressed in blog posts is in conflict with our helmet policy (and that you stand by this position), we decided that this means your name should not be listed as a club officer. So as a club member, I can informally invite others to go on mountain bike rides with me. I just can’t be an official ride leader. I harbor no ill will towards either NICA nor CVCC, even though I strongly disagree with them. It’s a tricky issue and insurance/risk management makes it even more so. There are many ways for me to contribute to the sport of mountain biking and bicycling in general. I won’t be shy about letting you know what I’m up to. If it’s Northfield-related, I’ll let you know here on LoGro. 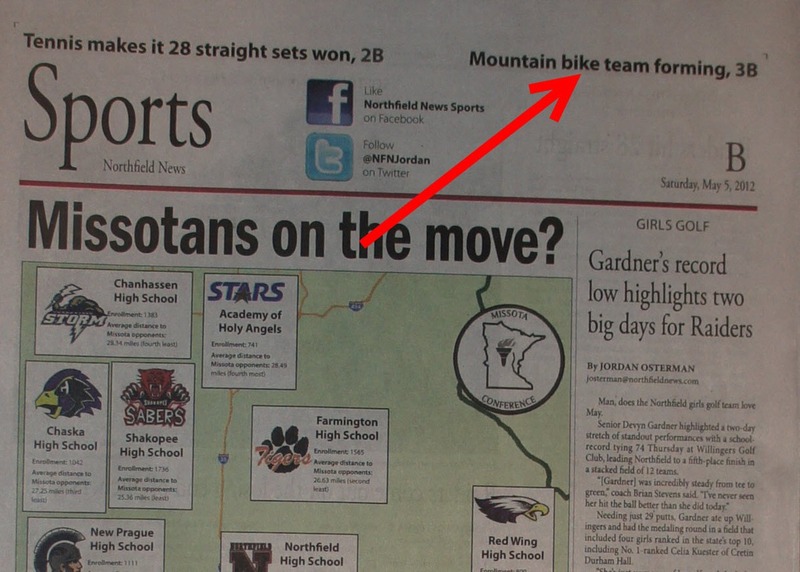 Otherwise, stay tuned to my Mountain Bike Geezer blog and/or follow MTBikeSkills on Twitter. 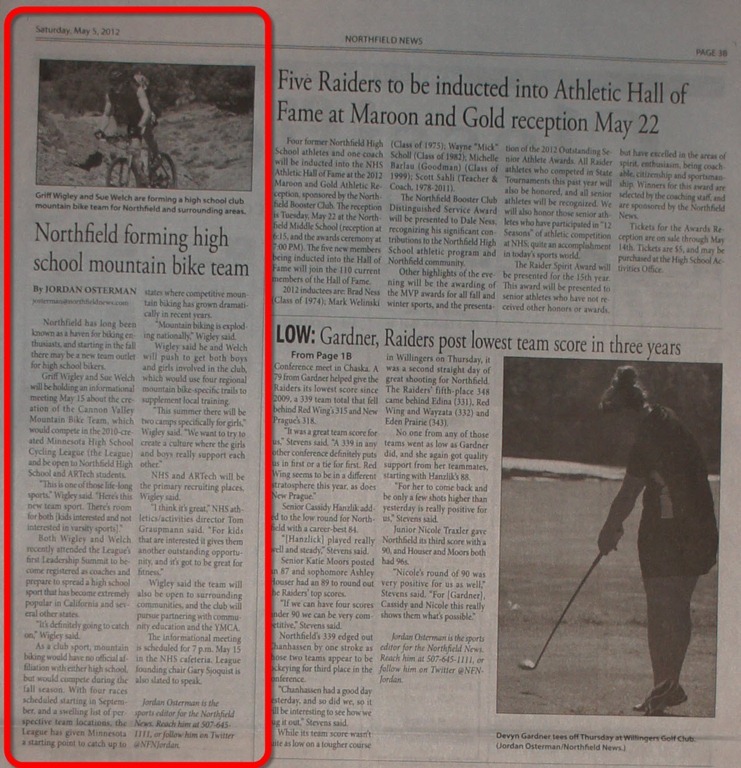 I’m appreciative of Northfield’s media organizations who have been very helpful in drawing attention to Tuesday night’s (May 15) information meeting for the new Cannon Valley Mountain Bike Racing Team for area high school students. One point Wigley stresses when talking about forming the team is that the activity is open to girls, as well as boys. 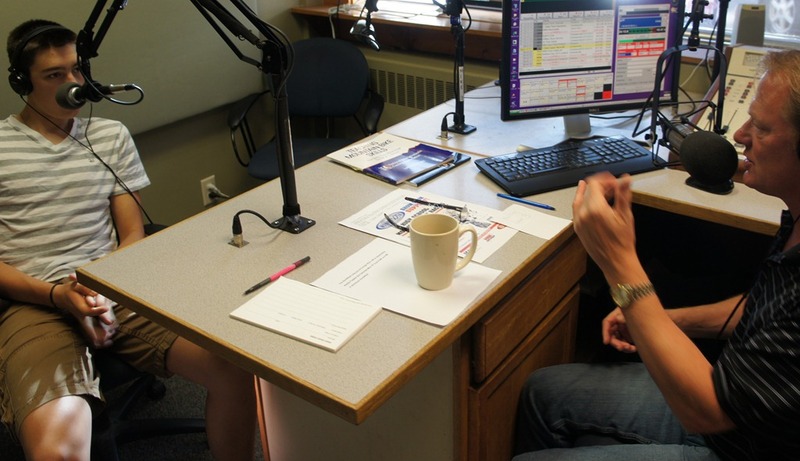 “The big push nationally is to get girls involved,” he said. “And, there is an incentive for having girls on your team. Points earned by girls are worth more, which helps in recruiting. Can’t make the May 15 meeting? Area student-athletes who are interested can now fill out a form on the CVMTBT website to be kept informed on next steps on the team’s formation.